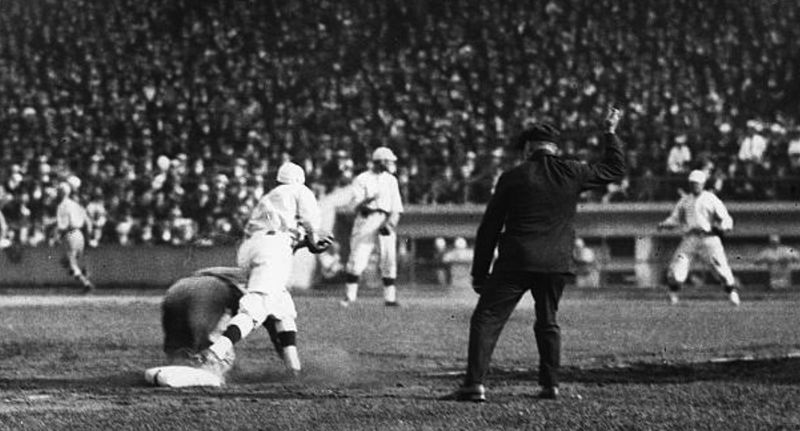 On September 7, 1918—exactly one-hundred years ago today—the Red Sox defeated the Chicago Cubs 2-1 to take Game Three of the 1918 World Series. The win gave Boston a 2-1 lead in the Series that they would eventually win four games to two—the last title for 86 more years before the "restoration" in 2004. Interestingly, Babe Ruth did not participate at all in Game Three—likely resting for his pitching start in Game Four two days later at Fenway Park. In that contest, not only did Ruth pitch eight solid innings (just two earned runs), he also went 1-2 with 2 RBIs at the plate—and went in to play left-field late in the game. Amazingly, Ruth's lone hit was a triple. Boston would wrap things up at Fenway on September 11th—a 2-1 win that clinched their fifth World Series title. A total of 15,238 fans were on hand at the six-year-old ballpark to see the glorious victory.